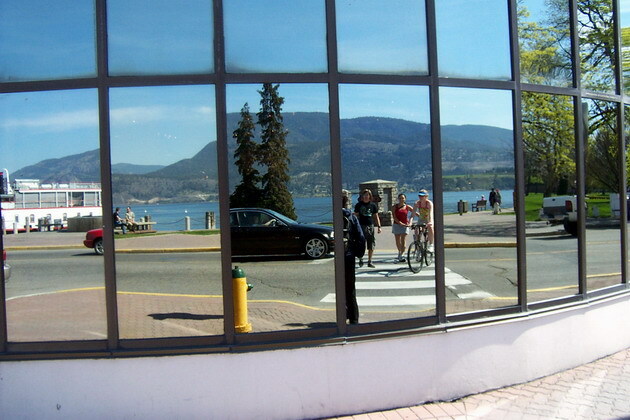 Photos taken into the mirrored (one-way) windows of the Earl's restaurant which overlooks the Okanagan Lake front in Kelowna. 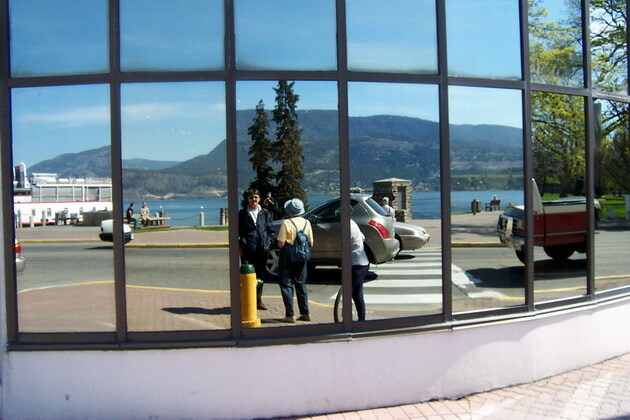 Since the building is on a corner the individual panes give different angles and perspectives, depending on where you stand to look at the reflections in them. restaurant must think of the crazy guy "staring" into the windows and chuckling to himself at the fun of it all !! scenes change as people and vehicles move about.